Multiple locker room with 6 rooms superimposed. SKU: FL100506P. 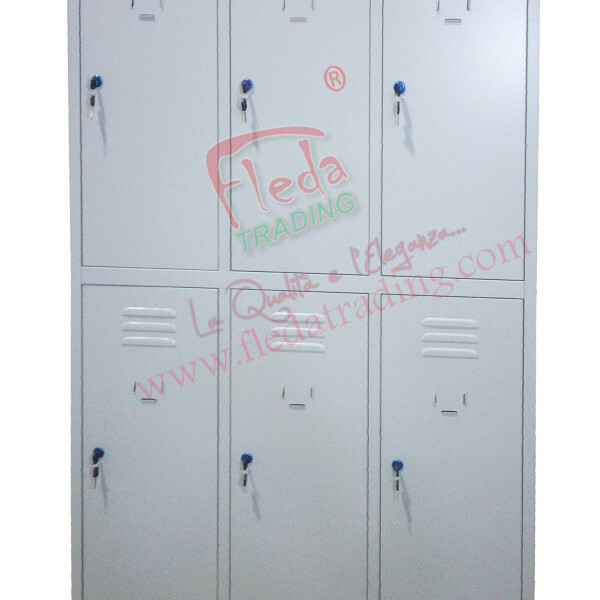 Categories: LOCKERS, LOCKERS. Each compartment is equipped with a shelf for objects and a clothes rail. 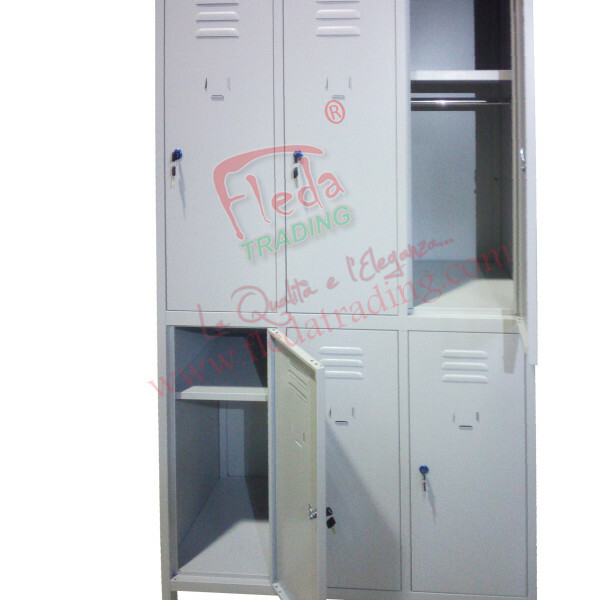 Doors with ventilation slits, tag holder and lock with 2 keys. 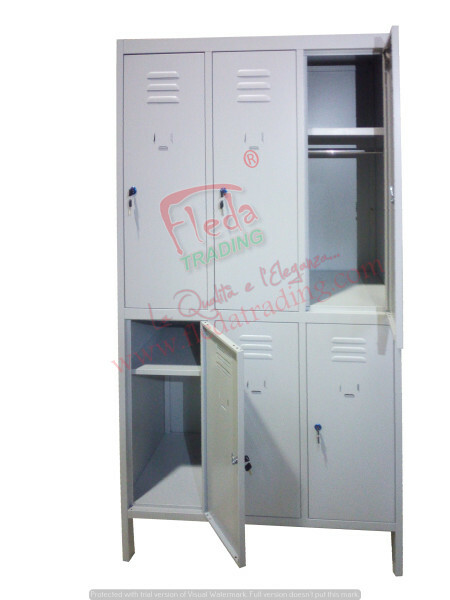 Cabinet sold mounted, ideal for public or private use. 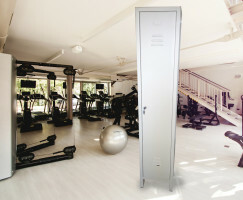 Available color: RAL 7035 gray.